SHIFT is a culmination of frontman Chad Anthony’s 29 years of life so far. The ups and the downs. The triumphs and the defeats. The moments of pure love and the moments of devastating heartbreak. The days of invincibility followed by the days when you can’t get out of bed. It’s a 12 song musical testament to life. Music, after-all, is arguably the best thing we have on this planet. No matter what you’re going through, there is a song waiting for you. Wanna get your party on and get moving? Let’s go. Need a quiet song as you lay in the dark and navigate through a sea of emotions? Music’s got you covered. We hope you enjoy this collection of songs and that the messages within them resonate with you. 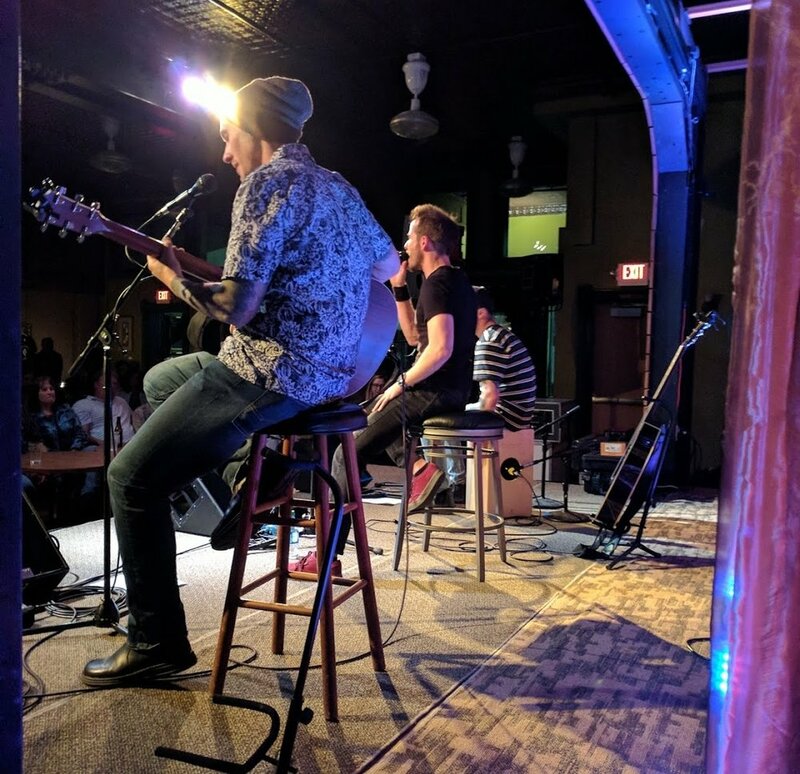 The guys went back to Chad’s hometown this past Friday night (October 19th) and played to a packed house at The Lark in Hastings, Nebraska. It was a special show for us, given that it was an acoustic performance. 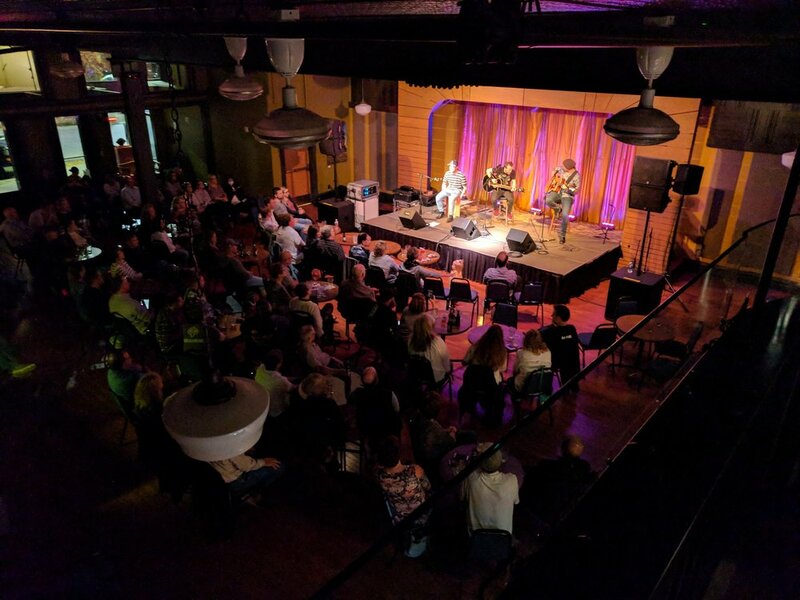 It was a rare opportunity for us to swap out all the loud guitars and drums for an intimate evening of stripped down songs, stories, and a few spontaneous moments that only come about in the live setting. The night consisted of a 17 song set (our longest to date) including an unanticipated encore to close out the evening. You know how bands plan encores? We find that a bit cheesy. We left it all on the table from the beginning. However - the crowd gets what the crowd wants - so we pulled out a cover of The Killers’ ‘Mr. 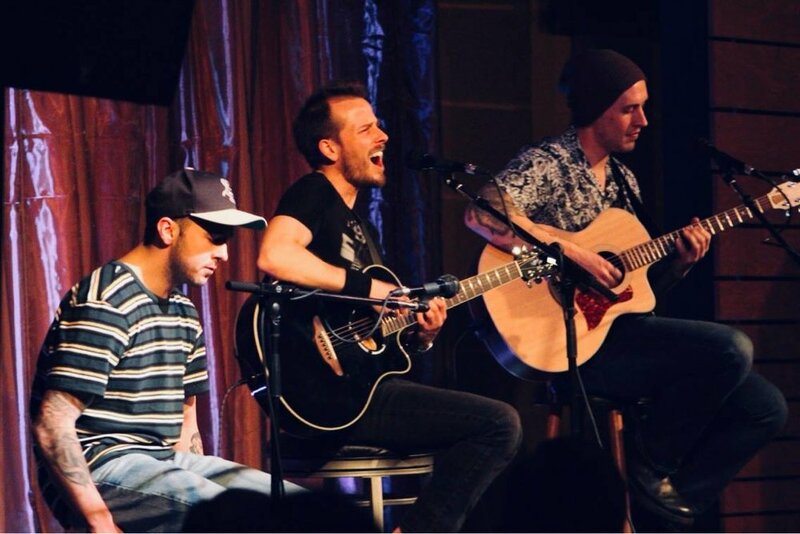 Brightside’ and performed it acoustically for the first time ever. That’s the beauty of a live show - you never know what’s going to happen, including the band themselves. It was an especially meaningful night for Chad, who spent his first 21 years of life in that very town. He told stories of growing up, finding his own voice, and navigating the never-ending journey of life as we know it. It really was a once in a lifetime opportunity to sit down and perform for a full house of people that have watched you grow up from a very young age. We can’t thank the city of Hastings enough for all the love and support and hope to be back very soon! There are two words that capture one of the most beautiful experiences on planet earth: LIVE MUSIC. The energy. The connection. The positivity. (oh and the drinks if you’re over 21). Live music has the power to bring people together. In a world where convenience is king and everything can be delivered to your doorstep at the touch of a button - there’s one thing that still remains untouched (and actually growing)…concerts. That’s because you can’t buy a concert experience online. You can’t hop on Amazon Prime and have Mr. Bezos send you an incredible night singing along to your favorite band, surrounded by hundreds of sweaty strangers who became your best friends for a night. We pride ourselves in bringing a top notch live show every time. All of us grew up loving live concerts, and they account for some of our favorite memories of life so far. Our goal as a band is to help pay it forward and create those same unforgettable memories with you. Writing music is an amazing process. Recording is tedious but rewarding. But the live show - that’s where the money is. That’s when we all get to say adios to the outside world for an hour and get lost in a world of energy, passion, and connection (and plenty of fun throughout). Our ultimate goal is to be referred to as a ‘must see’ live band - so we will continue to spice it up and work towards earning that title. So that being said, make sure and check out our upcoming concerts and come say hello - we’d love to meet you!